1. SHOW ACTIVITY– Make the house look like someone is home. There are easy ways to accomplish this without breaking the bank. The most cost effective way is to simply ask a friend or neighbor to check on things and show activity around the property. Turn the lights off and on, have cars coming and going etc. You can also purchase timers for your lights or smart home technology that allow you to adjust your lighting from anywhere using an app on your cell phone or computer. You’ll also want to stop your mail, keep your lawn mowed, and avoid any other visible sign that shows a lack of activity in your home. For example, leaving porch lights on all week, or having Amazon boxes pile up on your doorstep. 2. DON’T BE A TARGET– Make sure that you always have deterrents to potential burglars. Don’t have high shrubs or trees blocking windows, especially at the basement level. You don’t want to give someone a way to hide or be shrouded from the street. Post home security signs and stickers around doors and windows. In today’s society there are tons of companies to choose from that will offer a variety of ways to protect and monitor your home- from basic door sensors and alarms, to motion sensors and cameras. All these devices will add security to your property and belongings. Not only does having cameras on the property help deter any wrongdoing, but in rare cases of crime could also potentially assist law enforcement in identifying who was there. One great new home technology is the video doorbell. Check out ring.com. 3. MAKE YOUR HOME FIRE SAFE– Be sure to unplug and turn off any appliance or electronics before leaving for vacation, to limit the risk of fire while you’re away. 4. HAVE AN I.C.E.– Just in case something does go wrong while you are away it’s important to have an In Case Of Emergency person assigned, someone who can go to the home if the alarm goes off or there is a fire. Someone who can unlock the door, and help you get in touch with law enforcement or a first responder if needed. We often overlook this one, but what happens if that alarm sounds in the wee hours of the night and you’re across the country? 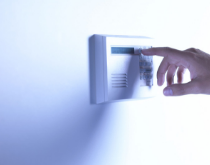 Do you have someone who can check to see if the alarm is legitimate? Someone who can alert the authorities if it’s more than a false alarm? And, being the age of ever-changing technology, we are not surprised to find that houses equipped with Smart-Home technology actually sell for a higher price, according to a study by Caldwell Bankers. According to the study “…those [homes with] already-installed smart devices could make a huge difference in how much and how quickly a buyer might spend on a home purchase” and “81 percent of current smart-home device owners say they would be more willing to buy a home with connected tech in place”. In fact, now that more “millennials” are the age to purchase homes, the percentage of people who feel smart home technology should be standard greatly increases. According to the study, 47% of millennial buyers (18-34 year olds) “have smart home products in their home” and are interested in purchasing a house that utilizes some type of technology, especially if the buyer has children. At Dorn Real Estate, we love helping buyers find their dream homes in and around Knoxville, and know how much time, energy and expense goes into making that house a home. It’s important we protect that investment and ensure our family and belongings are safe, especially during vacation season. 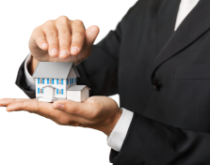 Want more information about home safety? We’d love to chat! Call us today.